We are just back from Atlanta, Dallas and Las Vegas Gift shows. January is a crazy month for us, but we love it as it gets the year off to a good start. 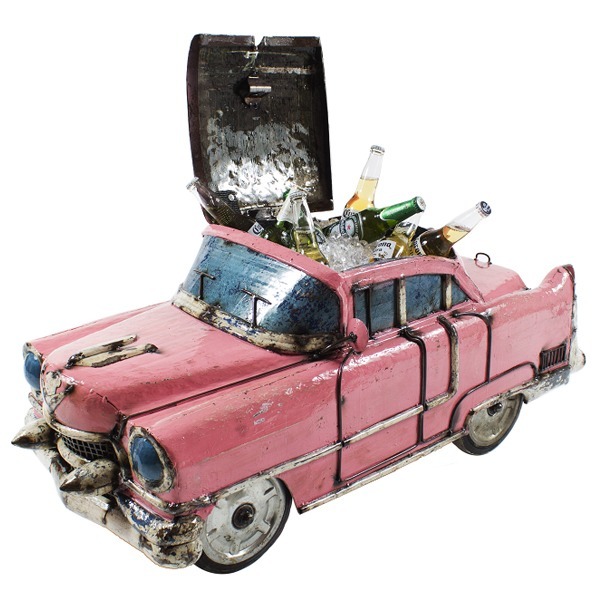 The runaway stars of the shows were the Pink Caddy and the King of the Road beverage coolers. We were literally besieged by passersby – the pulling power these two items possess was surprising even to us. We expected them to be popular given we had already launched them in other markets, but we weren’t quite prepared for the queues of people waiting to ask us for more details; a wonderful problem to have! Our Carpenters wooden range was well received too, which was great. We had anticipated it would work well, after seeing how well people responded to it at the Australian and UK shows, but we have learnt the hard way that every show, and especially every country, is very very different! Anyway, we wanted to say a huge thank you to everyone who stopped by and helped make the shows the amazing success that they were. Our favourite part of every show is getting to catch up with old faces and of course getting to meet so many new people, discussing new opportunities and later discovering the possibilities that unfold.